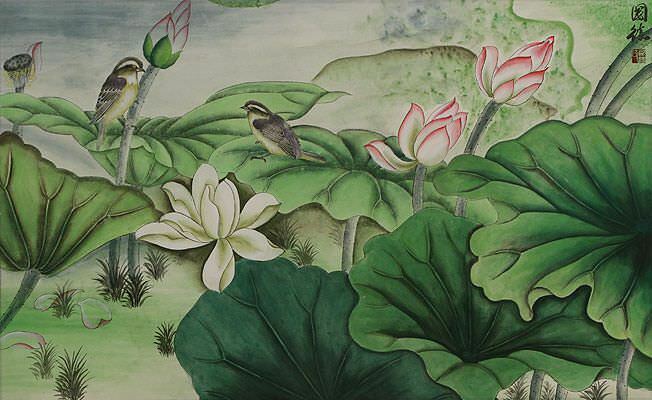 Artwork Panel: 31.8cm x 131.5cm ≈ 12½" x 51¾"
Silk/Brocade: 40.7cm x 187cm ≈ 16" x 73½"
A very traditional wall scroll featuring a bird enjoying the sweet smells of the lotus flower. 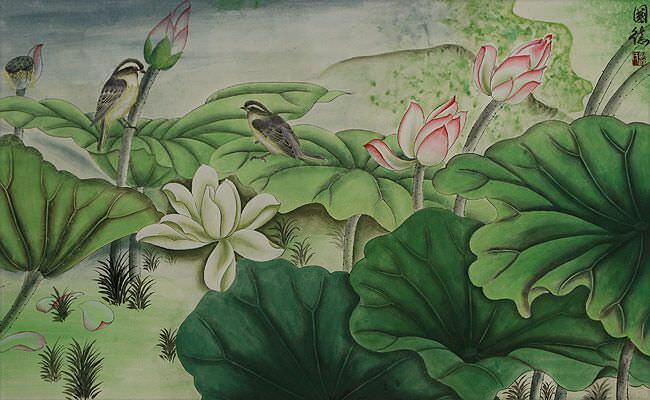 The title written on this painting reads "Xiāng yuǎn yì qīng" and means, "Fresh fragrance flows far". The characters following the title, are simply the artist's signature and an indication that it was painted in 2010.